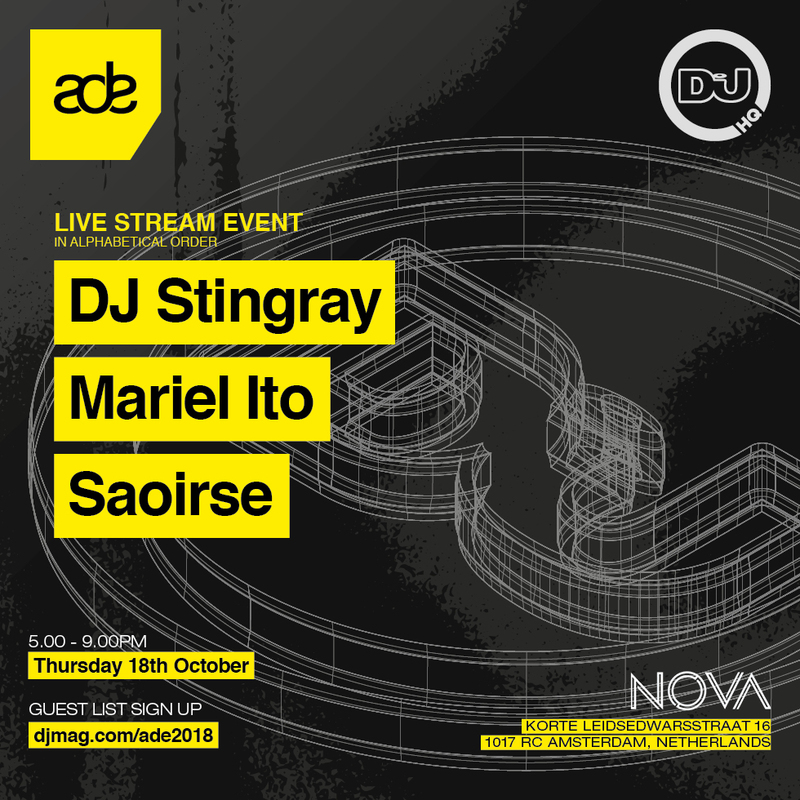 DJ Stingray, Mariel Ito and Saoirse will bring their incomparable selections and skills to DJ Mag’s live stream party from Amsterdam Dance Event this year. On Thursday 18th October from 5 - 9pm the formidable trio will be streaming live from Nova Club Amsterdam with what is sure to be an electro extravaganza. DJ Stingray and Mariel Ito are both DJ Mag cover stars this month, with Detroit legend Stingray fronting our UK mag and Mariel Ito on the north American edition. Dublin-born Saoirse, meanwhile, has become one of the most revered and respected DJs in the underground circuit in the past few years thanks to her energetic technical expertise and cutting edge record collection. Support on the night will come from The Bricks label founder, KMAH radio resident and prolific DJ/producer Anna Wall. With three DJs of this calibre you really can’t go wrong and we’re thrilled to present each set live on our Facebook and YouTube channels. Keep and eye and an ear open for this, it’s not to be missed. Entrance to the party is FREE but very limited capacity so sign up for guestlist ASAP here.